Rescuers were alerted after a group of walkers, including an 80-year-old woman, were reported to be in difficulties on the fells in the Lake District. Keswick Mountain Rescue Team was called out as darkness began to fall when fellow walkers said the group of women appeared to be struggling and suffering in the cold conditions. The group was said to be walking in the Sprinkling Tarn area of the Central Fells. The team was alerted about 4.10pm on Saturday. A Keswick MRT spokesperson said: “It proved impossible to contact the group, though the informant had taken a contact number. 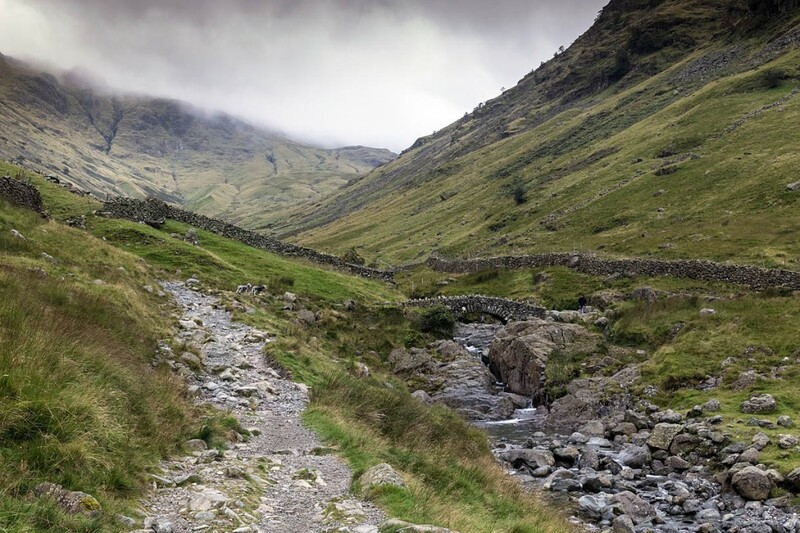 “Given the age of the lady, the temperature, and the fact that darkness was approaching fast, the team set off to Seathwaite with a group to check out the situation. “This first group were told by passers-by that the group of ladies were descending Grains Gill, but very slowly. It was decided to mobilise further team members, just in case the situation necessitated a stretcher carry. “In the event, the first team members encountered the group in good spirits about 300m above Stockley Bridge. They were pleased to see the team, but were able to walk down under their own steam to their car – a splendid effort. Thirteen Keswick MRT volunteers took part in the three-hour operation.